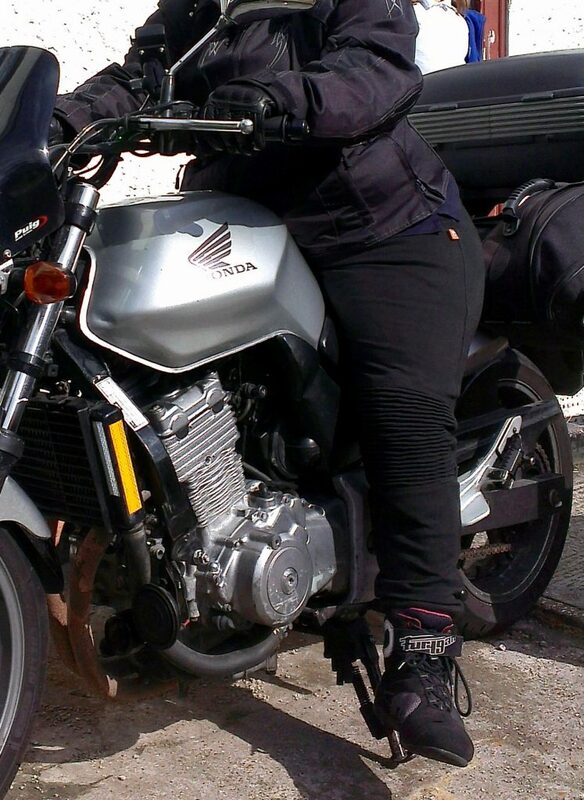 Picture the scene, there you are parked up in town to do a spot of shopping, juggling your helmet as you try to carry shopping and find your wallet to pay for stuff. 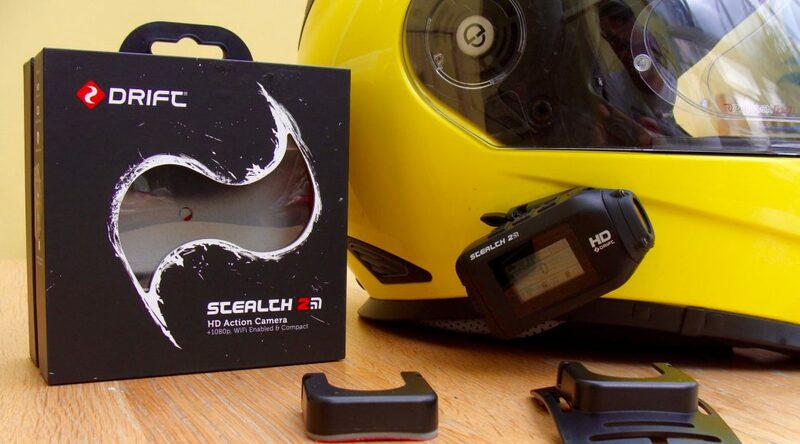 If only you had a third hand or somewhere to put your helmet. 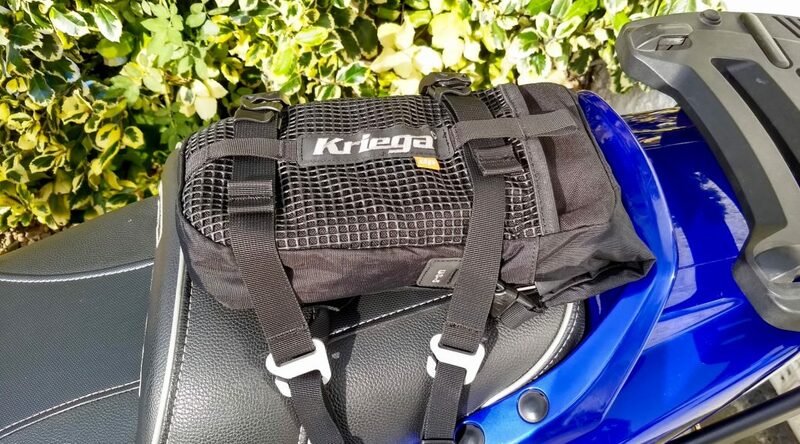 You don’t fancy leaving a few hundred quids worth of lid hanging on the bike, especially with action cam and intercom gadgets attached and you may not have a huge top box to dump it in(or it may be full of other stuff). 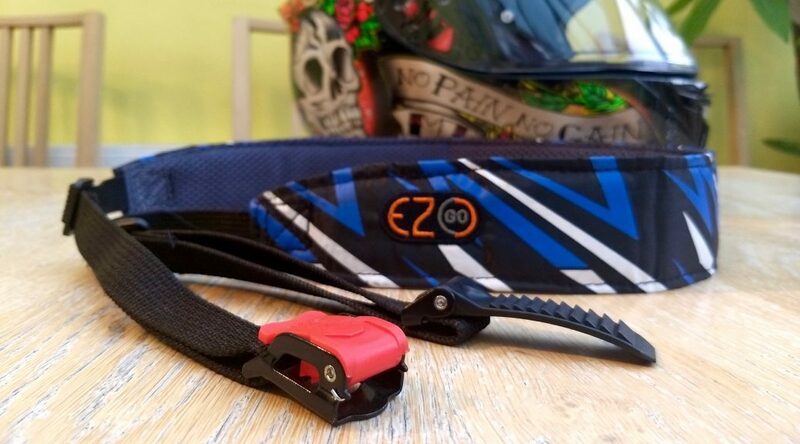 This is where the EZ-Go helmet strap comes in as an idea you can’t believe you didn’t think of. Small hands? Check. Get pretty cold in the winter? Check. I would love to have heated gloves- but the pennies don’t stretch that far at the moment. 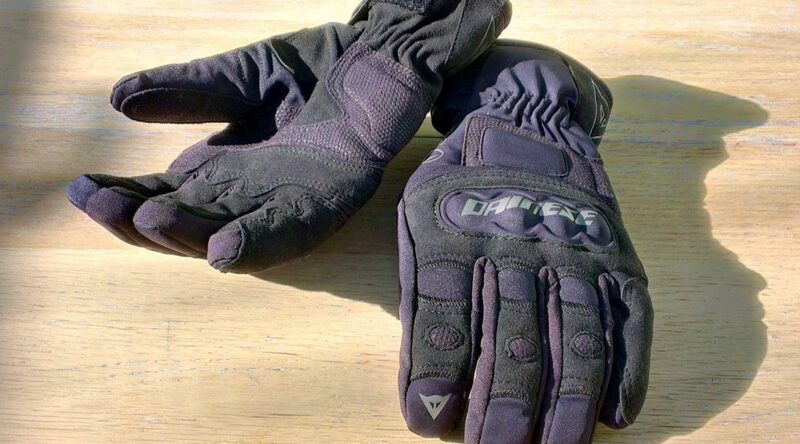 So to keep the winter chill at the bay I use these Dianese Clutch Evo gloves in combination with heated grips. 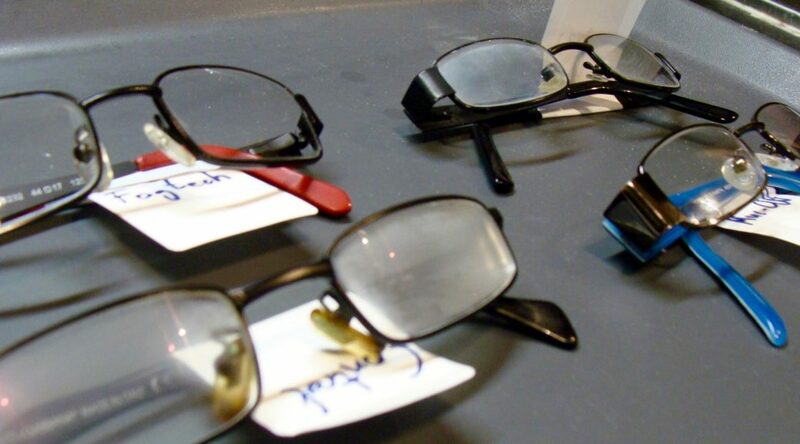 As a glasses wearer, I’ve always struggled with my glasses misting or fogging up on cold days. Whereas as my visor stays clear through the use of a Pinlock, there is no obvious solution for glasses, just a multitude of products to squirt on that claim to stop all misting up. But do they really work? In the name of science I conducted a mini experiment to compare some popular products to ascertain which were most effective. 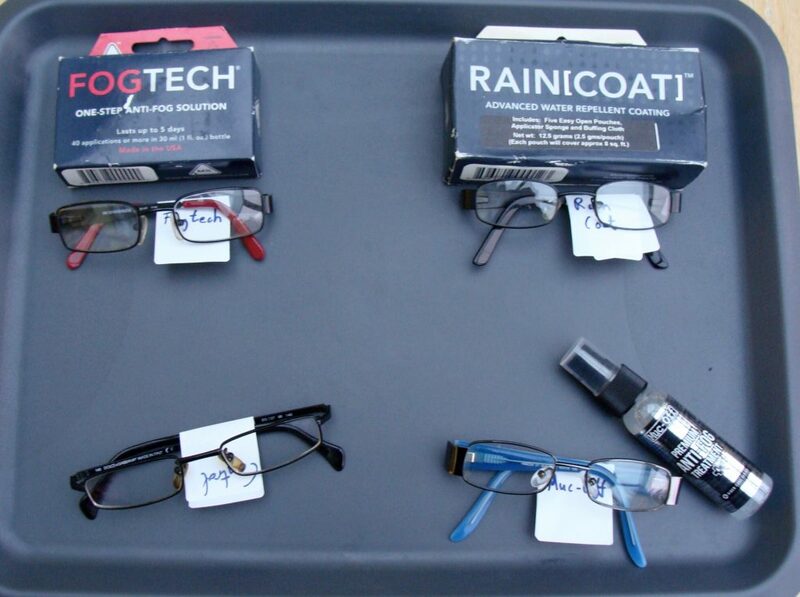 I used a number of old pairs of glasses, which I first cleaned then applied the various products as per their directions. 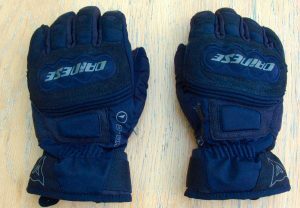 As a control, one pair were left untreated. I then placed the glasses in the fridge to cool to 5℃, to mimic a ride on a cool winters day. First I took the glasses out into the kitchen with a humidity reading of 55%, to see how the lenses misted up (or not). Secondly I repeated by taking the glasses from fridge to hot shower room with a humidity reading of 60% to test a more extreme scenario. Being Wide of Calf, buying new boots that fit me is generally a pain in the arse. I am also very short so I usually have the added complication of longer boots impeding my knees. I had heard good things about the Richa Nomad boots and with winter approaching I needed some new waterproof boots to replace my Furygan boots. 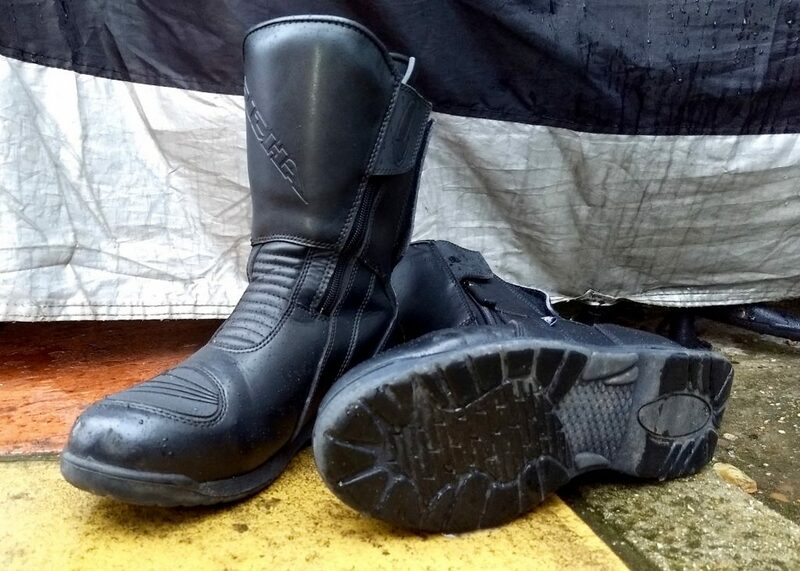 For £80, they are a good value boot and I decided to give them a go. When you were a child, did you ever have a favourite pair of trousers or a top that you would wear to death and never take off? 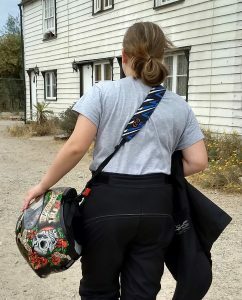 Well, my MotoGirl leggings are mine. I bought them in February and I have worn them pretty much constantly since. I tend to have a love hate relationship with bus lanes; when you can use them they’re great for filtering past long queues of traffic, but with so many not open to bikes or only active at random times it can be a pain to work out when you can take advantage of them. 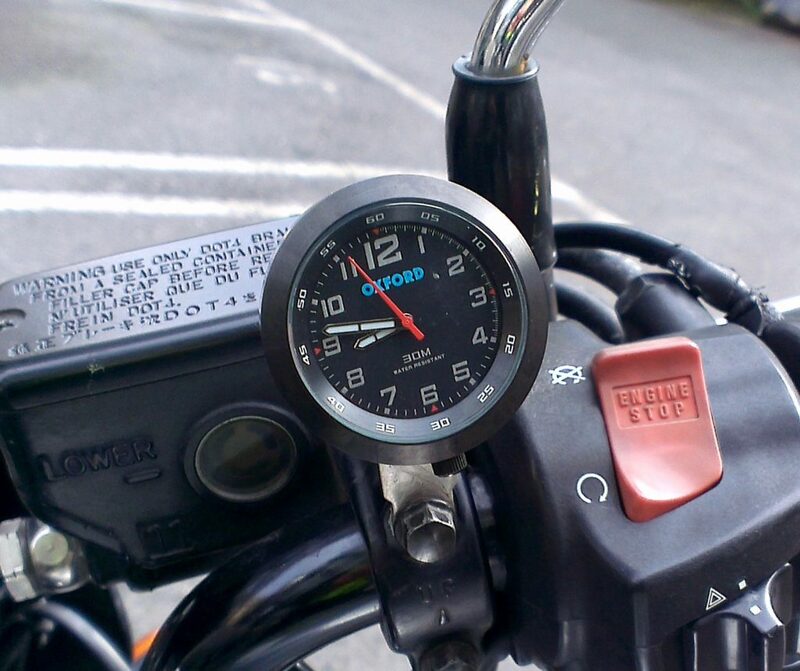 Especially so when you’re riding an older bike with no clock! 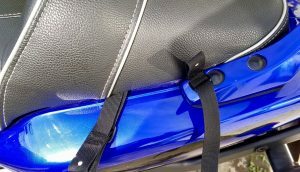 Which is exactly the problem with my wife’s Honda CBF500. Not wanting to get caught out with a bus lane fine, we bought this Oxford analogue clock. You’ve probably seen and heard countless other reviews of this Drift Stealth 2 camera raving about it’s specs etc, so in this review I’m going to focus on how it shapes up long term, as someone who uses it on a daily basis. 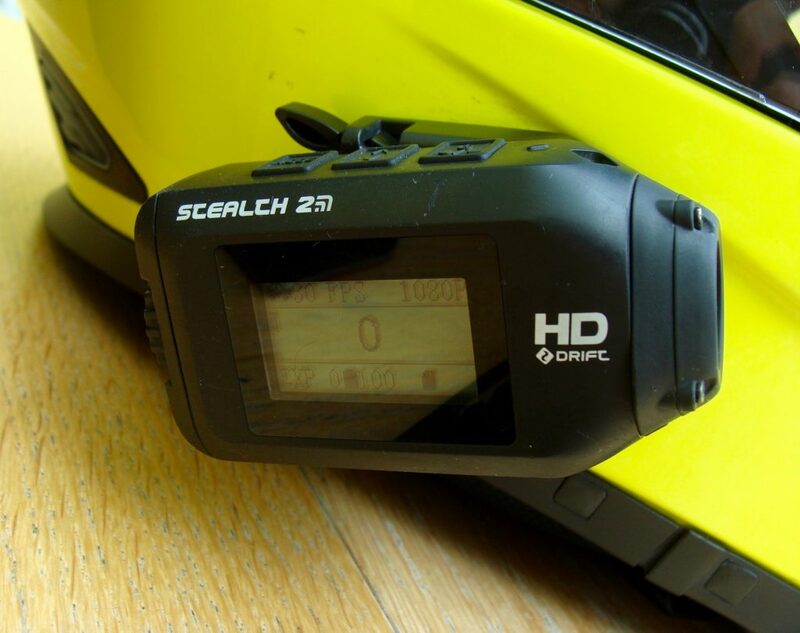 I originally bought this camera back in November 2015, to replace me old Road Hawk RIDE camera, initially tempted by the higher def 1080p support and longer battery life yet still in a fairly compact package. Screen shows mode, free card space and battery life. Backlight disabled to conserve battery.